I’m an adorable germ-filled baby made entirely out of tacos! Rabbit Food Grocery is going brick-and-mortar. Jessica and Gabriel are awesome, and so is the possibility of walking into a store to buy kale, vegan dog food, and Earth Balance junk food all in one trip. Go check out their kickstarter to help make it happen. Even a $1 helps. And tell your friends! If you watched RFG’s kickstarter video, you may have noticed Gabe is wearing a Texas VegFest shirt. And there’s exciting news out about the festival. First of all, we’ve got our 501(c)3 classification from the IRS. I’m pretty sure helping to found a nonprofit was on my bucket list. Check! Also, the date for the 2015 festival was just announced, check it out. Texas VegFest (and our friends at New Year, New You in Marshall) made a list of ten must-attend VegFests. AND we’re also nominated for best festival in the Austin A-list awards. Head over and vote for us! You’ll also see lots of local vegetarian and vegan restaurants in the food categories. Picking a company to vote for in the healthy lunch category is brutal! Speaking of vegfests, Texas Veggie Fair is fast approaching. How cool is it that Robin Quivers is one of their featured speakers? Since I last wrote, vegan food has been popping up everywhere. 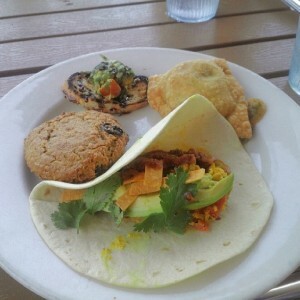 Pulse Vegan is now open in South Austin with lots of great comfort food like The Frenchy, their take on the French dip. Maoz in Austin has added two seitan-based soy-based sandwiches: shwarma and BBQ, both available in either a pita or a lavash wrap. They’re both fantastic. I highly recommend stuffing some of their excellent french fries in your shwarma pita. Follow the instagram account @unalomevegan for a sneak peak at an up-and-coming vegan food cart specializing in “healthy and convenient meals with a gourmet flair.” And the Village location of the Alamo Drafthouse is trying out a vegan menu. Eat there often and maybe they’ll bring to all their other locations. In San Antonio, the folks behind Green Vegetarian have opened the first drive-through style veg fast food restaurant in Texas. The entire menu at Earth Burger is available vegan (just like at Green), and it has a good mix of comforting favorites like burgers and chik’n tenders and healthier items like kale and edamame–something I think is key for veg fast food. In Dallas, all-new vegan joint Sykamore Vegan House is serving Asian- and Western-style food in a spot that once was a burger place. Also, LYFE Kitchen, a chain created by celebrity chef Tal Ronen, with a focus on flexitarian food. Which translates to, healthy-ish food that’s lighter on animal products, but not vegetarian. It also means a menu with marked vegan items like Morning Tofu Wrap, Unfried Gardein Chick’n, and Chocolate Chip Cookie. 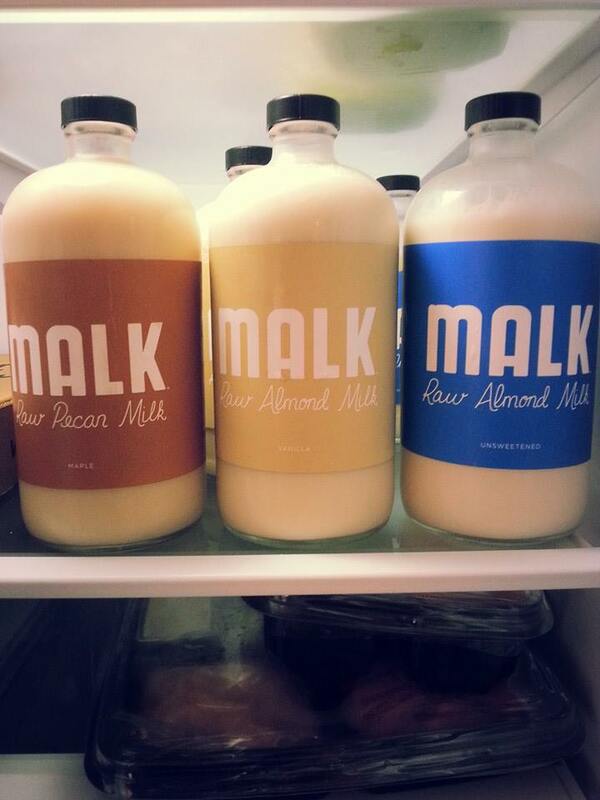 New product alert: Malk is making raw, organic nut milks from almonds and pecans. Pecans! So Texas. For now their milk is only sold in Houston, but I’m hoping there’ll be some magic worked out between Malk and Rabbit Food Grocery in the future. Vida Vegan Con will be taking place in Austin in 2015. Buy your tickets before they sell out. It’s well worth the cost. You get food, samples, tons of great information, and a chance to connect with awesome vegans from all over the world. Don’t think you need to be a blogger to get something out of the classes; there’s lots of useful information about social media, activism, and vegan lifestyles. Just a teaser: the taco scientists behind the taco cleanse are working on something new. Hint: it involves tacos. I can’t promise to post as frequently as before, but I’ll try my best to pop up now and again. In the meantime, follow me on Twitter and Instagram to get more frequent updates. ETA. While I’m not posting as often, I AM keeping up with comments. So dude who commented, “If you post this comment, I’ll donate to save an imaginary animal.” You (and the unicorns of the world) are out of luck. This entry was posted in Uncategorized by mollyjade. Bookmark the permalink. I know! But that just makes me love it more. Thanks for the shout out, Molly! We are so excited about the tremendous support we’ve been receiving and can’t wait to open RFG! One thing about Maoz, the BBQ and Shawarma are soy-based not seitan-based. I have talked with the owner and kitchen staff and it’s a kind of soy strip. This was confirmed even after someone posted in a discussion that it was seitan. It’s not gluten-free though, because it contains soy sauce with wheat. It may still be a viable option for those with only a slight sensitivity to gluten, certainly moreso than it would if it were seitan. 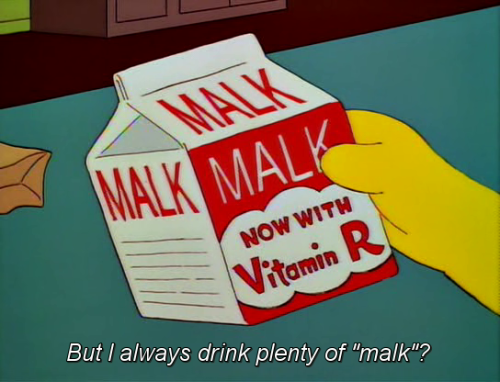 I keep seeing that Malk on instagram and all I can think about is the Simpsons. Apparently I’m the only one who likes the name Malk. Of course, I’m related to my brother who keeps a box of Krusty O’s in his kitchen, so maybe it’s a family thing. 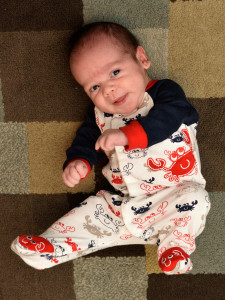 What a totally adorable taco baby! I hope the vegan fast food restaurant catches on in other cities! Congrats on your germ taco baby! of the tight pen into an expansive field.